Four prominent cases of police misconduct had new developments this week. Here’s a look at what happened, and what’s next for the families of the victims and the officers involved. 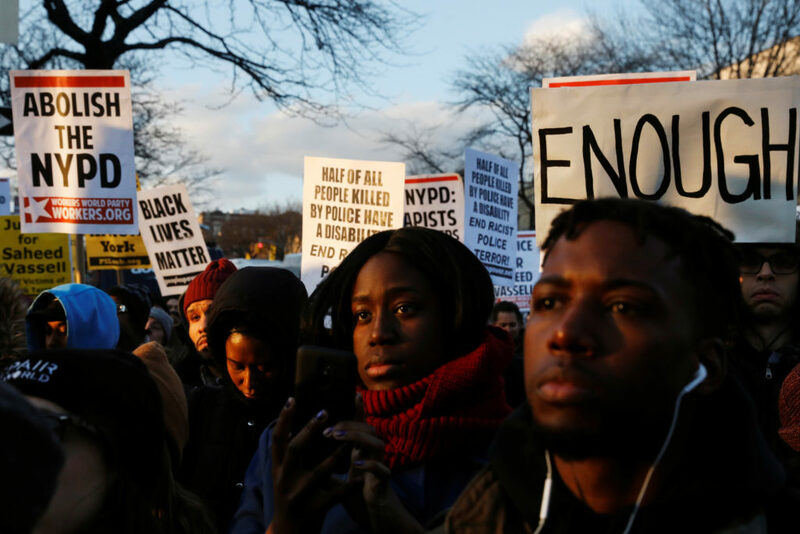 Demonstrators gather to protest the killing of Saheed Vassell by New York Police Department officers in the Brooklyn borough of New York, U.S., April 5, 2018. REUTERS/Lucas Jackson. Original incident: On Wednesday afternoon, the New York City Police Department received three 911 calls that a man was pointing what appeared to be a gun at the intersection of Montgomery Street and Utica Avenue in Crown Heights, Brooklyn. Five officers were dispatched to the scene, where they found 34-year-old Saheed Vassell holding a metal pipe. Vassell turned toward the officers with a “two-hand shooting stance,” prompting four of the officers to fire their weapons, NYPD Chief Terence Monahan said during a news conference after the shooting. They fired a total of 10 times. Police handcuffed Vassell after he was shot, a witness told the New York Daily News. He was taken to a local hospital and later died. The shooting brought anguish and outrage in the community, where residents say local police knew that Vassell had a mental illness and was no threat. Vassell swept the sidewalk for a local barbershop, would help the elderly with their groceries and was a well-known community fixture, local residents said. The New York Times noted that the response unit dispatched to the scene was separate from the community officers that would have spent more time in the neighborhood and known Vassell personally. Vassell’s father told multiple news outlets that his son had been diagnosed with bipolar disorder and was hospitalized more than once for treatment. The latest:The NYPD released video Thursday of Vassell in the moments before the shooting, in which he’s seen pointing the metal pipe at passersby. Police also released transcripts of 911 calls that reported Vassell was holding a gun. 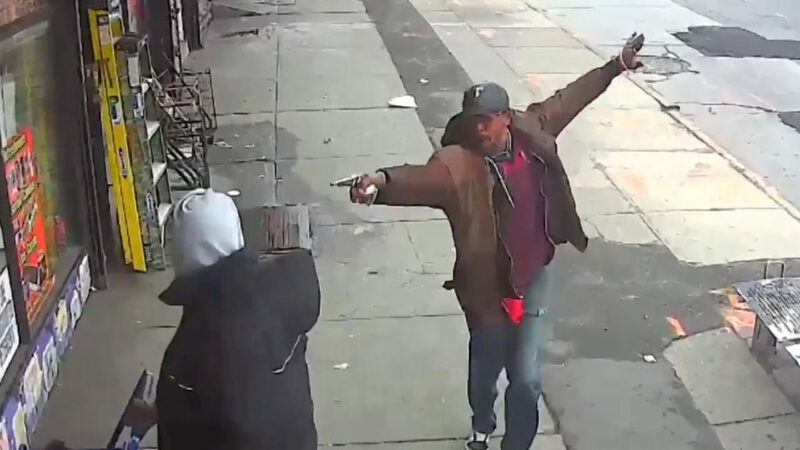 Saheed Vassell points a metal pipe at a pedestrian in Brooklyn April 4, 2018, in a still image from surveillance video released by the New York Police Department in New York City, New York, U.S. on April 5, 2018. NYPD/Handout. On Thursday night, hundreds of people rallied at the intersection where Vassell was killed. Crown Heights — a historically Caribbean and Jewish area where tension between white and black residents has boiled over in the past, including for three days of riots in 1991 — is now a fast-gentrifying area, where longtime locals say new residents are blind to neighborhood concerns. What’s next : New York Attorney General Eric T. Schneiderman’s office announced Thursday it was opening an investigation into Vasselll’s death. 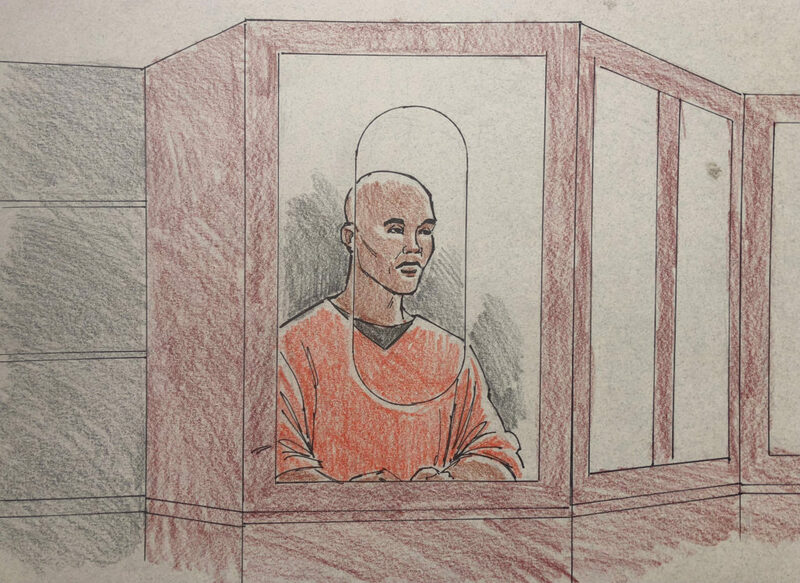 A courtroom sketch showing former Minnesota police officer Mohammed Noor, 32, charged with the fatal shooting of unarmed Australian Justine Damond last July, during a bail hearing in Hennepin County District Court in Minneapolis, Minnesota, March 21, 2018. REUTERS/Cedric Hohnstadt. 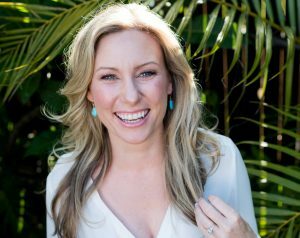 The original case: Justine Ruszczyk Damond was fatally shot by a police in Minneapolis last July after she called 911 to report a possible sexual assault in the alley behind her home. Officer Matthew Harrity told investigators that a loud sound spooked him as they drove through the alley behind Damond’s home. Then, they saw Damond approaching the vehicle. Harrity said as he reached for his weapon, his partner, Officer Mohamed Noor, leaned across to the driver’s side window and fired, the Minneapolis Star Tribune reported. The two officers didn’t activate their body cameras until after Damond was wounded, police said later, which sparked outrage among community members and local officials. Minneapolis has been home to several high-profile police shootings in the last several years. In 2015, officers fatally shot 24-year-old Jamar Clark while responding to an altercation at a local house party. In 2016, Philando Castile, 32, was fatally shot by police during a traffic stop, an incident that went viral after his girlfriend, Diamond Reynolds, began live streaming the scene on Facebook. In the wake of Damond’s death, Mayor Betsy Hodges said she no longer had faith in Minneapolis police chief Janeé Harteau, who stepped down several days later. Justine Damond. Stephen Govel/Stephen Govel Photography/Handout via REUTERS. The latest: In March, Noor turned himself in on several charges related to the shooting, including a third-degree murder charge and a second-degree manslaughter charge, the Associated Press reported. The Minneapolis Police Department also announced Noor had been fired. This week, city officials announced a new body camera policy that requires officers to start recording video at least two blocks before reaching a crime scene and also keep their devices on throughout their shift, among other rules, Minnesota Public radio reported. The policy also singles out the use of cameras in use-of-force situations, MPR notes, saying that officers who don’t comply face a suspension of 40 days or termination. “For the first time, we’re giving the body camera policy teeth,” Mayor Jacob Frey told MPR. What’s next: Damond’s fiance, Don Damond, said in a statement that the charges were “one step toward justice for this iniquitous act.” But Minneapolis Police Union President Bob Kroll told Mic that Noor’s firing, which occurred before the court has determined whether he is guilty, does not following normal department procedure. Others defending Noor say the officer, who is Somali-American, is being treated differently because of his race. Noor is black; Damond was white. “We believe these charges are baseless and politically motivated, if not racially motivated as well,” the Somali-American Police Officers Association said in a statement. Original incident: On Aug. 25, 2017, two North Carolina police officers, who are white, approached Johnnie Rush on his way home from work after they said they saw him make multiple jaywalking violations. Body camera footage released months after the incident showed one of the officers, Christopher Hickman, punching the 33-year-old black man. The footage also shows Rush being shocked with a stun gun; he is also heard crying for help. One officer, Christopher Hickman, is seen striking Rush repeatedly in the head. He resigned in January. City officials said the resignation followed an internal report that showed he violated the use-of-force policy, CBS News reported. Weeks later, after The Citizen Times obtained initial body camera footage of the incident, Hickman was charged with felony assault in the case. The case angered Asheville residents and activists who questioned why there was a monthslong delay in releasing the body camera videos. North Carolina state law requires court approval to release video recordings. The latest: Nine additional videos of the incident were released this week after the city petitioned for a court order to make the footage public. The videos reveal more about what happened during the arrest. They show Rush attempting to flee when Hickman moved in to arrest him. Rush is also heard saying “I can’t breathe” after the officers caught up with him; he also yells for help. The videos also show Sgt. Lisa Taube arriving at the scene to hear Hickman retell the events to the supervisor, something that was not captured in the previous video. Hickman is heard saying that he “beat the s**t out of [Rush’s] head, not gonna lie about that.” Taube then turns to talk with Rush, who is in the back of the squad car. “You were in the wrong, you were told by an officer you’re under arrest, you resist and not comply and run away,” she told Rush in their back-and-forth conversation. Rush responded that the officers’ actions weren’t appropriate. City officials said Taube was disciplined for poor performance and received training as a result of this incident. What’s next: The FBI announced in early March that it had opened a criminal investigation into the incident, with the State Bureau of Investigation assisting in the probe. Hickman also appeared in court this week for the felony assault charges. 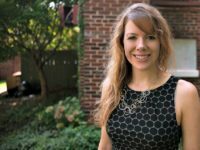 His attorney, in a statement to NPR, said: “It’s unfortunate that so many individuals have rushed to judge client,” adding that he was confident that Hickman will be acquitted. Original incident: Sacramento police shot 22-year-old Stephon Clark while responding to a 911 call on March 18 about several vehicle break-ins in the Meadowview neighborhood of Sacramento. Police mistook a cell phone in Clark’s hand for a gun, according to body camera footage released by the department. Officers fired a total of 20 shots, police said later. 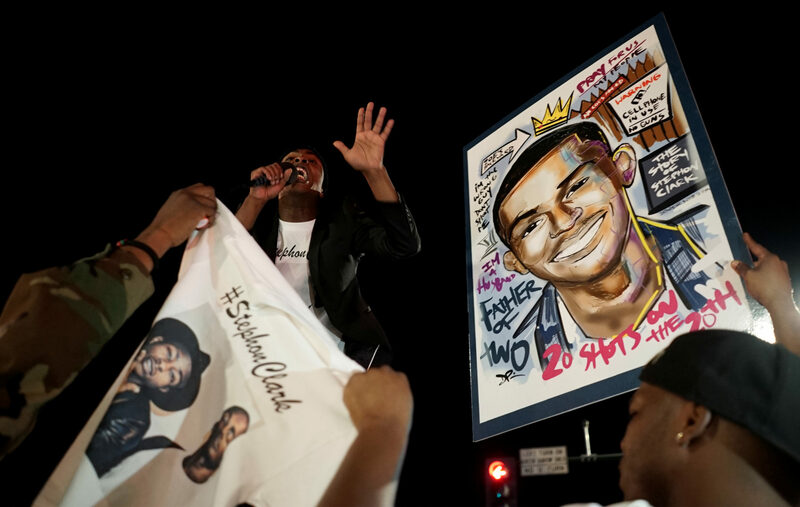 The shooting sparked widespread protests across the city, led by Clark’s brother Stevante. The Rev. Al Sharpton delivered the eulogy at a large public funeral a week later. The Sacramento Police Department is leading an investigation into the shooting with oversight from the state Department of Justice. The city is leading its own investigation into the department’s policing practices and policies. A town hall meeting on that investigation is planned for April 10. This is the Sacramento Police Department’s second high-profile police shooting in the last two years. The department implemented some changes after an officer fatally shot Joseph Mann, a 50-year-old black man, in July 2016. Sacramento County will not release a full coroner’s report until the investigation is complete. An independent autopsy commissioned by Clark’s family found that he was shot eight times. Many of the bullets entered his body from the side or from behind, according to the report. The latest: After the investigation into Clark’s death began, police unions donated $13,000 to Sacramento County District Attorney Anne Marie Schubert’s campaign, the Sacramento Bee reported. The unions and Schubert’s office told the Bee that the donations were underway before the shooting occurred. 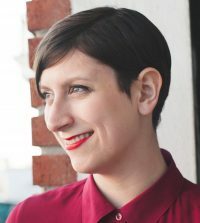 But the news has underscored the fear among advocates and community members that the investigation into Clark’s death will not be impartial, a fear that Police Chief Daniel Hahn cited when answering questions about why he asked for independent oversight from the state in the days after the shooting. What’s next: The investigation by the city and the state are ongoing. But California lawmakers are now considering legislation that would limit when officers can open fire when responding to calls, the Associated Press reported last week. If the legislation passes, California would become the first state to change the police standard from “reasonable force” to “necessary force,” the AP reports. Advocacy groups like the American Civil Liberties Union say this standard has made it difficult to prosecute officers and could make a difference in a case like Clark’s. Police unions have pushed back against the legislation. 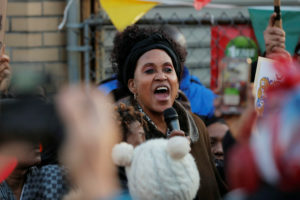 Left: Lorna Vassell, mother of Saheed Vassell speaks at a demonstration protesting his death after he was shot by New York Police Department officers in the Brooklyn borough of New York. REUTERS/Lucas Jackson.